An elegant and well-built dog, the Wire Fox Terrier is surprising strong for a dog with small structure. 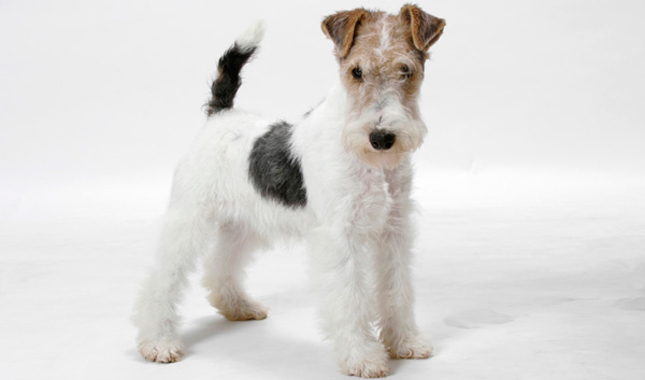 This breed is a hunting and tracking dog by nature, so the Wire Fox Terrier has got agility and energy to spare. Wire Fox Terriers are courageous, alert, playful, affectionate and independent. Always up for an adventure, this dog loves to explore, run, hunt, play, and chase, so it will keep you busy. If it’s a family dog you’re looking for, you’ll be glad to learn that the Wire Fox Terrier is excellent with children. And even though it is a bold dog, it isn’t aggressive towards people. Read on to learn more about this breed. 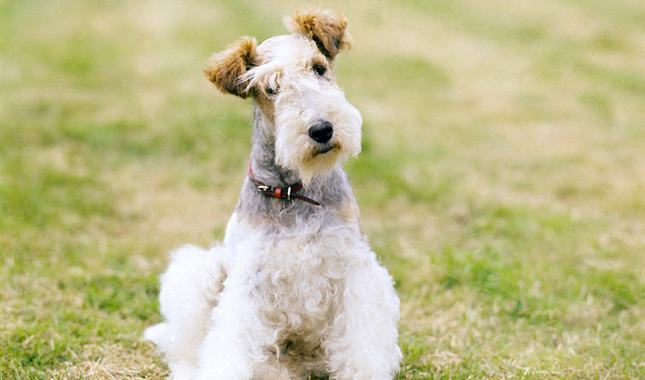 Is the Wire Fox Terrier the Right Breed for you? Moderately Easy Training: The Wire Fox Terrier is average when it comes to training. Results will come gradually. A happy, eager to please, excitable dog, the Wire Fox Terrier is always eager to play and makes an excellent pet for the active person. You may notice a streak of dominance in your dog – be sure you establish your role as the alpha early on. The Wire Fox Terrier was originally bred for hunting and tracking, so this dog still loves to dig under fences, in the garden, and even through sofas. Keep your dog in a secure, fenced-in yard, because this breed likes to roam and chase. As hunting dogs, the Wire Fox Terrier will chase smaller animals such as squirrels, rabbits, or cats. For this reason, keep your Wire Fox Terrier on a leash at all times. This bold little dog has no issues starting problems with bigger dogs and will not back down to dogs that are several times their size. Even though this breed is wonderful with children, the Wire Fox Terrier will react if it is being bothered or pestered. As well, this dog is quick to bark at any new sight or sound, which makes it a good watch dog. But overall, the Wire Fox Terrier makes a loyal, affectionate family pet. The average life span of the Wire Fox Terrier is 12 to 15 years. Breed health concerns may include cataracts, congenital deafness, distichiasis, pulmonic stenosis, insulinoma, glaucoma, Legg-Calve-Perthes disease, shoulder luxation, mast cell tumors, cerebellar malformation, epilepsy, corneal ulceration, lens luxation, progressive retinal atrophy, ectopic ureters, congenital idiopathic megaesophagus and skin allergies. Daily exercise in the form of a vigorous game, a good on-leash walk, or an off-leash outing in a secure area is a must for the Fox Terrier. When given room, however, the Fox Terrier can exercise on its own. It does well indoors with access to a secure yard, but can live outside in temperate or warm climates. The dog’s coat requires combing every week, and shaping once every three months. Pets are shaped by clipping, but for show dogs stripping is effective. This is because clipping tends to make the color of the coat dull and also softens it. 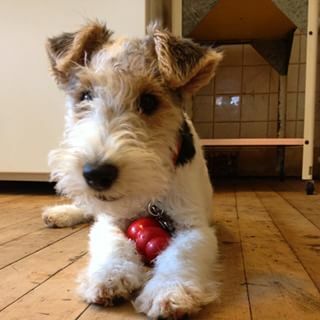 In addition, Wire Fox Terrier puppies may require ear shaping techniques to retain proper shape as adults. The Wire Fox Terrier will do okay in an apartment if it is sufficiently exercised. It is very active indoors and will do okay without a yard. 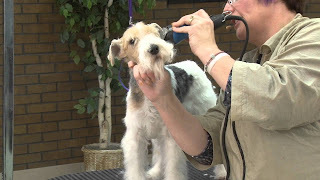 Training the Wire Fox Terrier can prove to be a bit difficult, especially if this is your first time owning this breed. If you’re bringing this dog home as a puppy, watch out for its sharp teeth. As well, the Wire Fox Terrier can be difficult to house train. In the beginning, you should consider staying at home with your dog as much as possible. Socialization is important, so introduce your Wire Fox Terrier to different dogs, people and environments whenever you can. Since this dog is intelligent, you should include obedience tasks as part of your Wire Fox Terrier’s training. It can have stubborn and independent nature, so be sure to be firm when giving commands. Reprimand your dog in a firm manner when it exhibits bad behavior. If this is your first time owning this breed or lack faith in your training skills, don’t be afraid to hire an experienced handler. The Wire Fox Terrier's coat requires stripping in order to maintain the proper look and texture. Stripping can be done at home, or at the groomer, and should be done at least twice per year. If a dog is not competing, his coat can be clipped, however this changes the texture of the coat, making it soft and also alters the coloring of the dog.